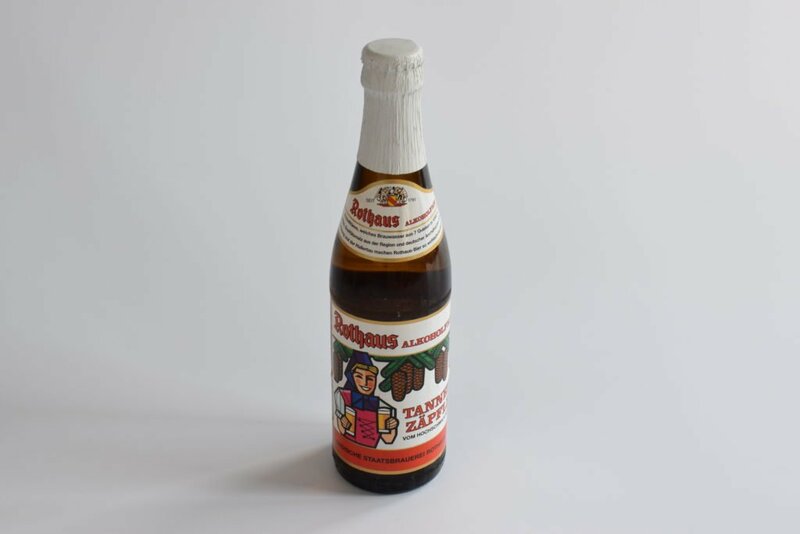 If you think the labelling on bottles of Rothaus beer looks a bit retro, it’s because it is – the current design appeared in the early 70s. The image, which appears on all the brewery’s beers, reminds me of the court cards in a deck of cards and children’s books of times past. It’s actually a blonde woman, dressed in traditional garb and holding two beers. She’s known as Birgit Kraft, which is a pun that loosely translates to “beer gives strength” in the local dialect. That locality is the state of Baden-Württemberg in Germany’s Black Forest. And, it’s run by the state, making it one of only a few German breweries in public ownership. That, along with its iconic branding, is why the brewery enjoys cult status among drinkers. 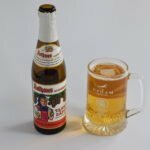 Like most German breweries, Rothaus produces a sub-0.5% ABV alcohol-free beer for non-drinkers. Called, “Non-Alcoholic Tannenzäpfle”, the brewers create a higher-gravity version of their popular Tannenzäpfle pilsner and then remove the alcohol. 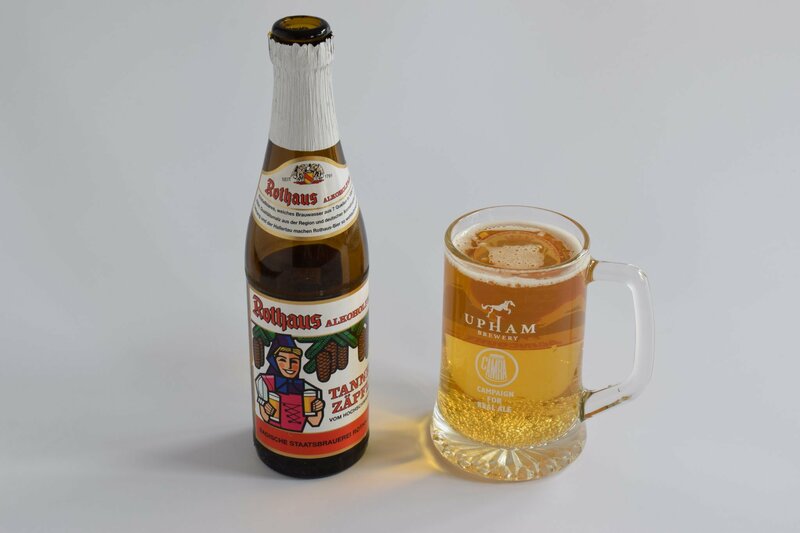 It contains two types of local hops – Tettnang and Hallertau. The malt is also from the area close to the brewery. Amber in colour when poured, Non-Alcoholic Tannenzäpfle is clear as a bell with a hardly any signs of a head. The aroma is initially sweet, with a clean maltiness. There’s also a slight herbal smell with a smidge of pine and tropical fruit as the beer warms up. The mouthfeel is good, with a medium body and enough carbonation to give it some life without bringing on instant burps. There’s none of those interesting flavours from the aroma in the taste, apart from the maltiness from the pale malts. But this is overpowered by the bitterness, which hits hard on the first sip and never really goes away, hanging round in the aftertaste. It’s palatable, if you can get used to it. Non-Alcoholic Tannenzäpfle promised so much with its excellent mouthfeel and interesting aroma. But the taste was a bit too one dimensional, with a bitterness that was hard to get used to.